He drew back the cloth on the table next to him, revealing a stone tablet. A tablet like the two in Isabelle’s room back at the hotel, packed and ready to depart. This time he favoured them all with his knowing smile. So, readers, what did you think the characters’ motives and subtexts were in that conversation? Is it clear, incomprehensible, actually a little too obvious? Please let me know how I’ve got on. Doesn’t time fly when you’re writing? It’s May already, and Writing Excuses are a third of the way through their year-long podcast writing course. I still feel like I’m learning a lot from it, and recommend it anyone who’s into writing, especially writing sf+f. The rumbling grew to a roar, the ground shaking beneath Dirk’s feet. He flung himself to the ground as the road in front of him exploded in a shower of dirt and fist-sized stones. Out of the hole a vehicle emerged. It was unlike anything Dirk had ever seen before, but it was a moment’s work to see it was built for war. Seven feet high and three times as long, it was covered from end to end in heavy armoured plating, scraped from its journey through the earth. Great wheeled shovels protruded from the front, and small wheels propelled it into the street. Dirk thought he had seen the future of war in the bloody fields of Gettysburg, but in that single moment he knew he had been wrong. Humans were far smarter than that. Smarter and more terrible. As the dirt settled, Blaze-Simms stared at the machine sitting in front of him. His eyes went wide with wonder, a smile lighting his face. He had considered devices like it in the past, of course. Trackless trains, motorised wagons, that time he’d built a mobile factory. But this was something entirely new. He pulled out his notebook and started frantically sketching. The armoured plating was clearly thick to withstand bullets, yet streamlined so as not to cause obstructions as it travelled through the dirt. The digging wheels looked to have been influenced by moles’ paws, as well as some of Brunel’s wilder inventions. The engine must be incredibly powerful, and most of the space filled with fuel. A hatch opened in the roof. A glimpse of its fastening was all Blaze-Simms needed to make a note of the design. Someone was emerging, a gun in their hands. “Get down!” Dirk slammed into him, knocking him to the ground as bullets whizzed past their heads. It was quite the ugliest thing Isabelle had ever seen. An ungainly mass of steel, smoke billowing from its rear and dirt sliding from its sides. The roar of its engine was accompanied by the grinding of ridged wheels over cobbles, the clang-clang-clang of its shovel wheels spinning against the street. Stepping back into the shelter of a doorway, she watched as a hatch opened in the roof and soldiers started pouring out, guns already barking as they opened fire on anyone in sight. Because of course, what else would one do with a spectacular new advancement in transport, if not fill it full of soldiers? She could imagine the excitement of the men who had made this thing, and of those riding in it. They would be like children with a new toy. Still there was potential in the thing, if she could just get inside. Hans grunted as he flung another shovel-full of coal into the boiler. They told him this wasn’t just coal, it was something special, something powerful. Hans didn’t care. It was all just the same when you were the man who did the shovelling. The floor tilted beneath him. He grabbed hold of the overhead rail as the whole vehicle swayed and then righted itself. The floor was horizontal again. That probably meant they were above ground. Sparks flew at the disruption, smoke clogging the room and Hans’s lungs. He coughed, a wretched, rasping noise that had only gotten worse through all the weeks of training. Join the army, they’d said. Fight for the homeland, they’d said. So much for glory. Hans shifted his grip and kept shovelling coal. The machine crawled down the street, smoke billowing from its rear, soldiers jogging along beside it with guns drawn. They looked ill-disciplined to Noriko, their blue suits impractical, their stances slovenly. Not real warriors. The machine would be easy prey. It was so European she almost laughed. Bigger, harder, tougher, that was the way of westerners. Cover your machine in enough armour plates and you would make it invincible. Unless you left a hole in the top to come in and out by, or an open pipe to release the fumes. Everything had its weak points, even this. Still, there was something admirable about it. A thing singular in purpose, all that engineering poured into the single task of digging through the ground. By the standards of these people it was almost subtle, to emerge from the ground beneath your enemy’s feet. The main thing I got out of this was that I’m not clear on what the biggest gee-whiz excitement factor for these books is, except in the last volume, the climax of a hunt for the lost Great Library. Purely from the point of view of getting people excited about the story, I need to think about that. Writing a scene from different viewpoints is always helpful though, and adding Hans in particular made me look at this in a different way. Have you tried this exercise? What did you think? On a completely different note, today’s the last day my book From a Foreign Shore is free on Amazon, so if you like historical fiction, alternate history, short stories or just my writing, why not check it out? Writing Excuses 10.16 was, as is often the case, a really good episode. Talking about the importance of the first few lines of a book in drawing readers in, they provided the usual mix of top advice and interesting points to consider. If you’re not a regular listener (which if you write you should be) I particularly recommend this one. Night was falling as the hot air balloon crossed the Prussian siege lines and reached the walls of the Red Castle. Two teenagers in livery gawped at the steam motor as they took the ropes from Dirk Dynamo and secured the balloon to the crenelations. Even before they had finished, Dirk leapt down onto the stonework and assessed his surroundings by the light of burning torches. One hand lay on his holster, ready for whatever trap Isabelle had prepared. Behind him, Sir Timothy Blaze-Simms scrambled excitedly out of the basket, accompanied by the clatter of gears and gadgets rattling in his pockets. 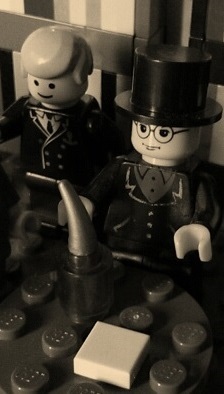 An elderly servant in a tailcoat held out a gloved hand. He said something in German. “You catch that?” Dirk asked. “Sorry what?” Blaze-Simms looked up from peering at a gargoyle. 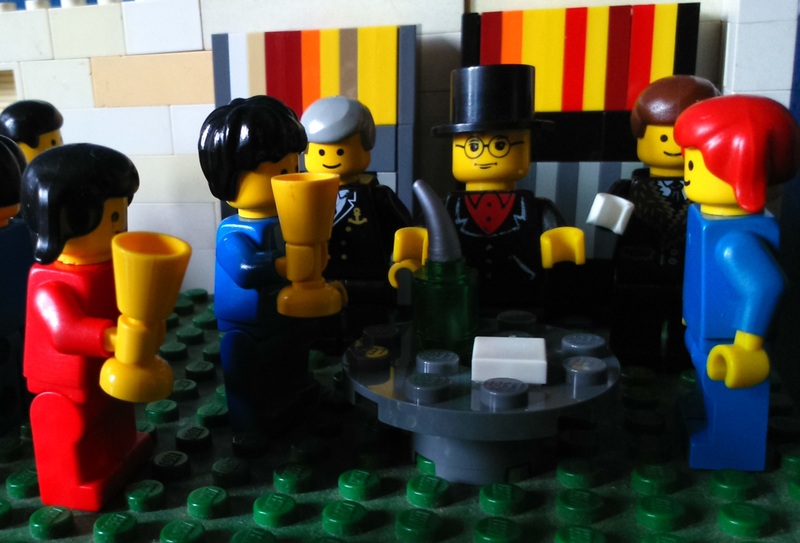 “Ah, you are British?” The butler’s expression didn’t change as he shifted into English. 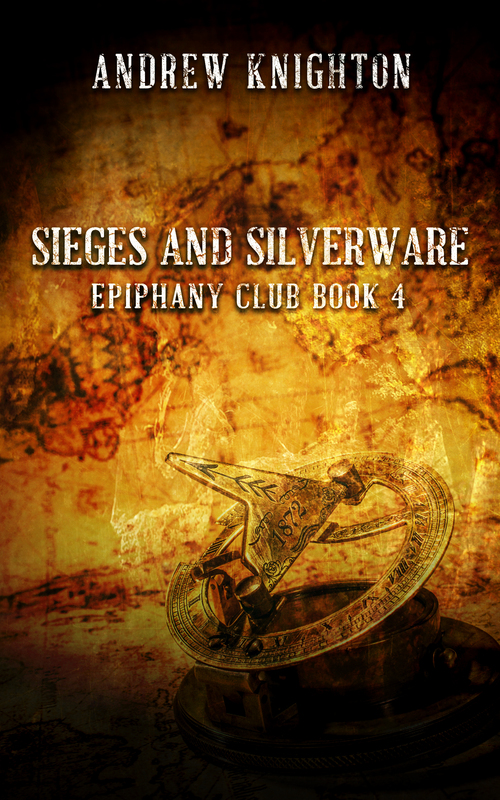 So what did I do there to try to add extra leads into this story, which will be the fourth in my Epiphany Club series, Sieges and Silverware? The most obvious thing is in the first line. 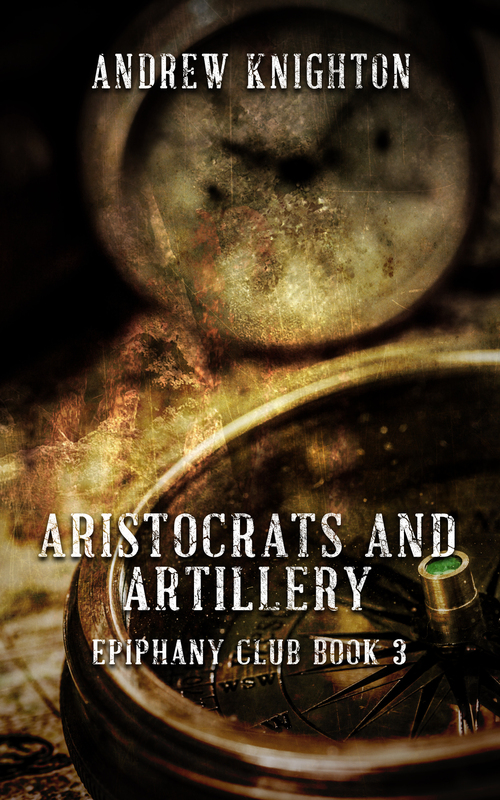 A big part of the plot and atmosphere of this book revolves around the castle being besieged by a Prussian army. I’ve added that in the very first line, and in future revisions I might also use that to tease out hints at Dirk’s military background. 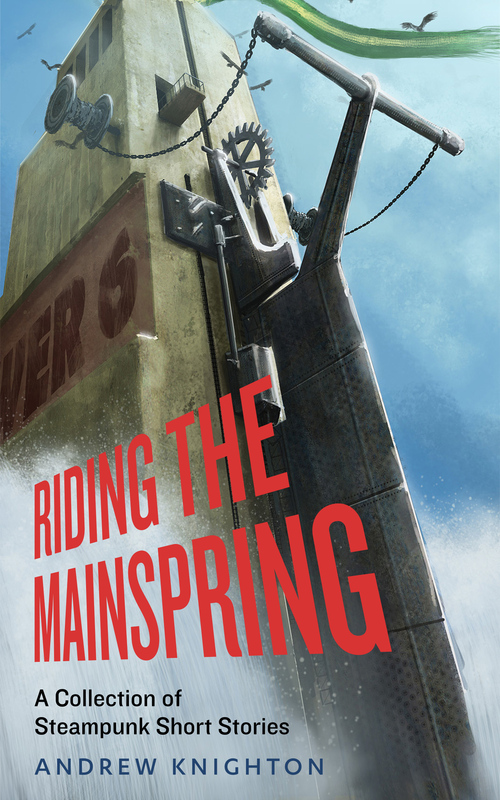 I’ve added a motor to the balloon to hint at the steampunk genre that’s part of these books – together with the already present rattling gears and gadgets, I hope that sets the right tone. Speaking of tone, I’ve tried to build up the action and suspense side of both the story and Dirk’s character through the way he behaves coming off the balloon. He’s not just looking, he’s assessing for danger. His hand is on his gun. This is an action hero expecting trouble. The same lines let me introduce the conflict with Isabelle McNair, who Dirk was previously working with. The story’s other main plotline, and the main one for character development, is there straight away. Some of the character attitudes and setting were already present. The servant’s formality and disdain for Americans, which creates instant conflict with Dirk. The castle setting. Dirk leading the way as Blaze-Simms bumbles along behind him. I’m pleased with what I’ve added. In some ways I’d like to get more in there, but I was concerned about things getting bogged down. I’ve even trimmed down some of the prose to avoid that. What do you think? How does this work as an opening? And if you’ve read the previous version, is it an improvement or have I just made a mess – these things do happen. Leave a comment, let me know, and if you’ve done this exercise then please share how you got on. 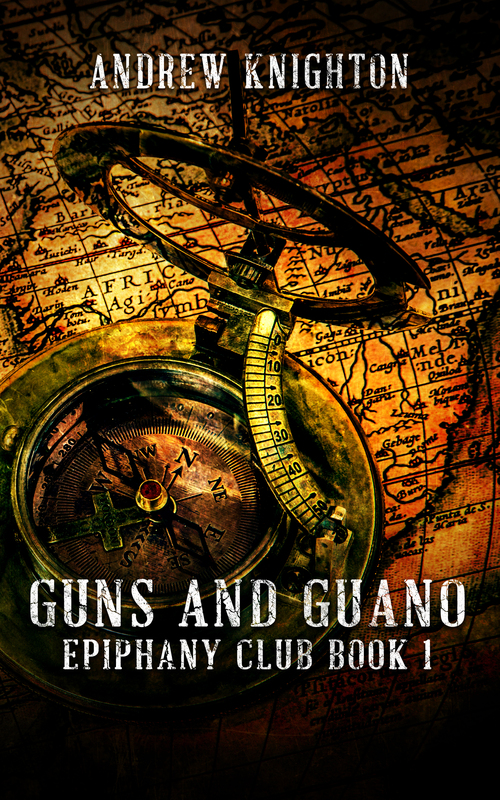 Oh, and if you like the look of these characters then the first in the series, Guns and Guano, is free from most places you can get ebooks, including Amazon.com.